The CEO of Now Muzik, Efe Omorogbe, has added another feather of recognition to his cap of achievements as he was named music management brand person of the year at the Effizzie Style & Effects Award Season 3. The well attended event which took place on October 7 at the Times Square event centre was put together by Image Lifters to celebrate Effizzie magazine’s six years of effective journalism. Over the years, Efe has come to distinguished himself as a writer, composer, producer, director and much more in the entertainment industry. 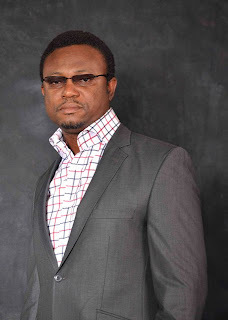 He is well known for his strong voice for the rights of artistes and the fight against piracy. With the vision to grow a brand name that is synonymous with quality; internationally, Efe, through Now Muzik, has played a lead role in the revitalization of the music industry by introducing innovations and upholding the highest professional standards in its service to the industry and corporate Nigeria. Now Muzik’s clients include 2face Idibia, Faze, Sunny Neji, Tunde & Wunmi Obe(T.W.O), Timi Dakolo, Cynthia Mare, Gidi Gorgeous, J-Martins, D’Beat (2011 Winner Star Quest) and Crystals (2012 Winners Star Quest). Other winners at the event were 2face and his wife, Helen Paul, Seye Kehinde, Tiwa Savage etc. Zen Magazine October 2012 Issue is all about Fashion!